1. 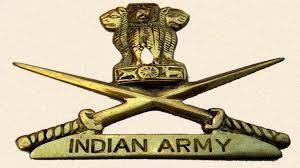 Soldier General Duty - (i) Min 10th pass with 45% marks in aggregate and 33% marks in each subject for candidates (ii) Min 10th pass with 45% marks in aggregate and 33% marks in each subject for candidates belong to Kandi Area. 2. Solider Clerk/SKT - (i) 10+2/Intermediate Exam pass in any stream (Arts, Commerce & Science) with 60% marks in aggregate and min 50% marks in each subject. Should have studied and passed English and maths/Acct/Book Keeping in Cl X or XII with 50% marks in each subject (ii) Should have studied English and Maths/Book Keeping in Class XII or X and should have secured min 50% marks in each of these subjects, whether studied in Class XII or X. (iii) In case of graduate or higher qualification, percentage marks scored in Class XII would be applicable towards his eligibility. 2. Last date for Submission of Application: 16 March 2018.